Matthias is Chief Financial Officer of FCF. He is responsible for finance, compliance and human resource matters. He also manages IT and legal affairs, coordinating FCF’s respective external advisors. In addition, Matthias supports transaction execution processes. 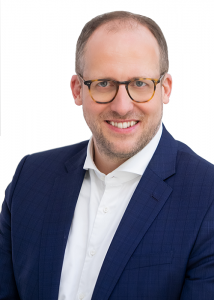 Matthias previously worked in various executive management positions executing blockchain, data and platform projects in the real-estate, digital and private equity business. Before these projects, Matthias was responsible for planning, controlling and corporate development at STOXX and held various management positions at Deutsche Börse Group. Matthias received a Phd and an MBA in Finance from European Business School and his bachelor’s in computer science from James Madison University, Harrisonburg. Prior to that Matthias completed his banking apprenticeship.